By November, parts of California begin to feel like winter is coming. In other places, it finally cools down just enough for you to know for certain that summer's heat is gone for the year. During the lull between Halloween and Thanksgiving, you can visit many major attractions minus their summertime crowds. You can still safely drive in most parts of the state without fear of winter weather, but Tioga Pass between Yosemite and the Eastern Sierras often closes in November and won't re-open until well after the spring thaw. Thanksgiving is celebrated on the fourth Thursday of November. Many people get Friday off, too, making this a four-day weekend. We've got some great ideas for things to do during the Thanksgiving holidays, some of which can't be done any other time of year. The weather in California varies depending on what part of the state you're visiting. In general, coastal areas will remain comfortable through November, and the deserts will cool off enough to make them enjoyable. In the mountains, snow starts with the winter rains, and in most years, ski season begins around Thanksgiving weekend. Lake Tahoe will be cold by November with its lowest temperatures dipping below freezing at night and rising into the 40s during the day. Yosemite Valley will likely be warm enough that you won't need more than a light jacket. You can get details of the highs and lows around the state in November (and all year round) by consulting these guides to some average highs, lows, and more weather considerations in some popular tourist destinations, such as San Diego, Los Angeles, Disneyland, Death Valley, Palm Springs, San Francisco, Yosemite, and Lake Tahoe. By November, water and air temperatures at the beach will limit most people to oceanside strolls. The beach areas are always colder than inland, and they get even chillier when the sun goes down. If you plan to spend time outdoors camping or hiking, pack light layers to stay warm and covered and in case it's colder than expected, bring a couple of extras. You can do a lot of things in California all year round, but these are a few that are especially fun in November. Meteor Showers: November is the time for one of the year's showiest meteor showers, the Leonids, which happen mid-month. Find the exact date here. The best places to see them are far away from city lights and where there are few trees: Benton Hot Springs, Joshua Tree or Lake Shasta. Whale Watching: Along the coast, you can see gray whales continue their migration south toward Mexico, and you may see fin whales too. 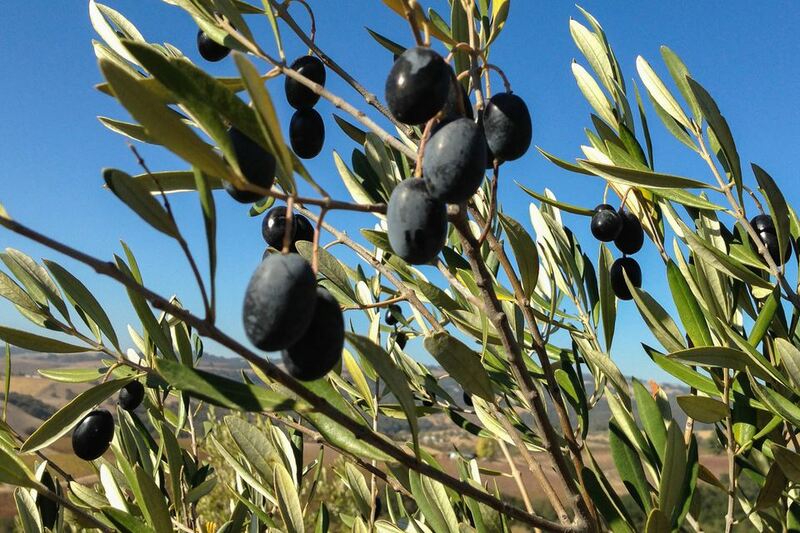 New Olive Oil: November is olive harvest season and the only time of year you can get "olio nuovo" (new olive oil). It's fresh, unfiltered, right out of the mill, wonderfully pungent, cloudy with unsettled particles, intensely green, and peppery. Bagging a bottle of this rare oil while it's fresh is a good excuse for a day trip or weekend getaway. Try one of these places, which have it and also offer tastings and tours: Kiler Ridge in Paso Robles, Round Pond Estate in Napa Valley or Da Vero in Sonoma. This short list highlights some of the events in California that are fun to do in November. Hollywood Christmas Parade: The stars come out for this annual parade, usually held Thanksgiving Weekend. It feels surprisingly like a small town parade - except all those people riding in those convertibles are real movie stars. Doo Dah Parade, Pasadena: It started as a parody of the Rose Parade, and it's one of the zaniest, wackiest parades you'll ever see. Not only it is fun, but it's not crowded. Dickens Fair, San Francisco: The weekend before Thanksgiving marks the beginning of a Dickens of a celebration at the Cow Palace. You might be excused for thinking you stepped into a time warp when you walk in the door of this fun celebration of Christmas past. Mavericks Invitational Surfing Contest: This surfing competition can happen anytime between November and March, as soon as the waves are big enough. Ridgecrest Petroglyph and Heritage Festival: If you’re a fan of Native American rock art and music, you may love this festival, which includes a rare opportunity to see the most extensive collection of petroglyphs in the Western Hemisphere. Other activities include concerts by big-name Native American musicians like R. Carlos Nakai and a traditional Cherokee Indian Hog Fry. Napa Valley Film Festival: Where else can you find so many great films, along with world-class wine and food? The festival happens in November, but you need to start finding a place to stay far ahead of time. By late March most of the moderately-priced lodging in the area will be full. If you want to visit Death Valley in November, make hotel or campground reservations in September (or sooner). As long as you pay attention to cancellation policies, there's little risk if you change your mind later. For more information, see the Death Valley camping guide and the Death Valley hotel guide. If you want to go camping at a California state park in November, make your reservations six months ahead of time in May. Everything you need to know is here. If you're planning to camp at Yosemite next October 15 through November 14, be ready at 7:00 a.m. Pacific Time on June 15 to make your reservations online. For November 15 through December 14, mark your calendar for July 15. You can do that online or by phone at 877-444-6777 or 518-885-3639 from outside the US & Canada. Get an overview and more options here.